Happy Thanksgiving! I sure am grateful for all of you. We will be spending Thanksgiving with the members that we live with, which will be great. Actually, Bro. Henderson will be away on a business trip in New Zealand, so it will just be us and Sister Henderson and our former housemate/current ward member. It’ll be a blast! I think we’re going to sew matching Christmas pajama pants together. This was President Mecham’s counsel on Thanksgiving for us: “I invite all missionaries to engage in proselyting activities with all your heart, might, mind and strength every day, except Thursday”. Haha, I love that man. 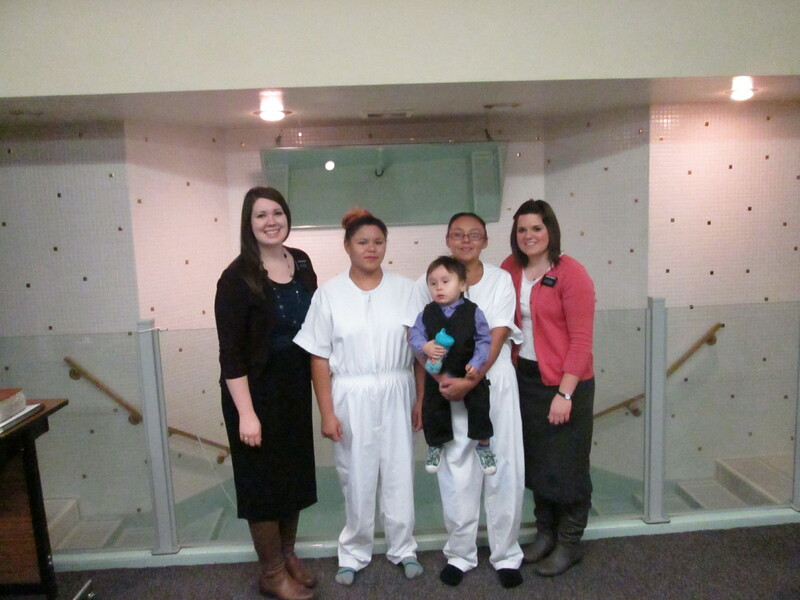 I’ll start out with the most exciting news… Mary and Jessica got baptized!! They have been working towards baptism for so long, and it was wonderful to finally see them enter the waters and make those covenants. Their baptism service included two other ladies that the elders had been teaching, and the elders had another girl baptized in an early service, so in total there were five baptisms for fourth ward on Saturday! That also meant five confirmations at church on Sunday… it definitely took a while, haha. When the elders went to go fill the font on Saturday, they couldn’t get the hot water to work. They checked it out, and the maintenance people had temporarily removed the water boiler! So the elders ended up boiling water in the kitchen and running back and forth to dump it in the font to make it warmer. Oh the things we do as missionaries. By the second baptism service, the water was getting a little cold but we made the best of it. It’s better than being baptized in the frozen river, that’s for sure! Mary and Jessica were so happy after their baptism- it was a great occasion. 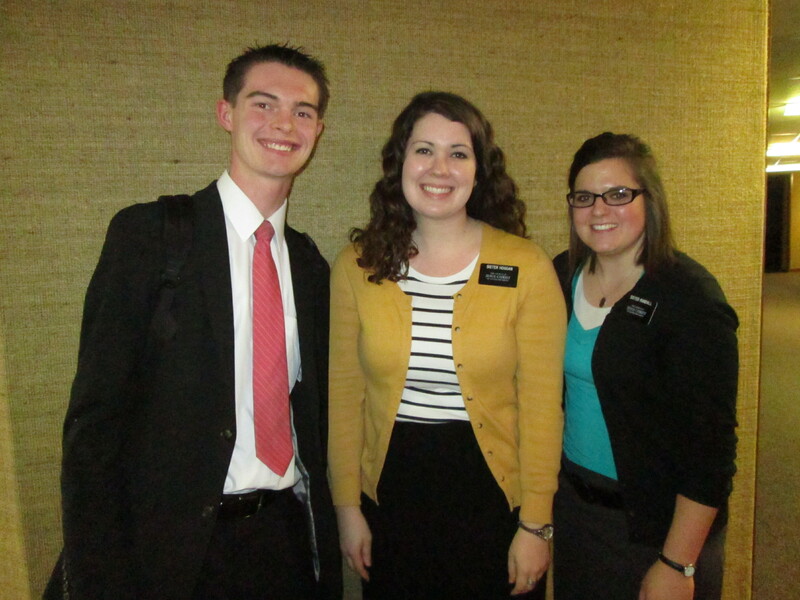 On Tuesday, we had a new multi zone meeting with President and Sister Mecham called Mission Leadership Training. Any meeting with President and Sister Mecham automatically becomes my favorite, and I greatly enjoyed this one. We talked a lot about what it means to “go to the mountain” to receive revelation (see 1 Nephi 17:7 and Moses 1:1). We also talked about being leaders of “self” and not waiting for a title. After the meeting, we said farewell to one of our ward members because he is entering the MTC! Derek joined the church a year and a month ago, and is in the MTC right now, eventually to head to Hungary. He has been so active in missionary work here, and we are so sad to lose him, but he will do wonders on his mission! Derek before he leaves for the MTC. We met with one of our investigators again this week, and it was great. We had planned to teach some kind of lesson, but when we got there I felt like we should change it. I felt impressed to ask him: “If you could ask God anything right now, what would it be?”. He replied, “Why”. I said, “Why as in what?” He said, “just Why”. Immediately the scripture Moses 1:39 popped into my head. We read the preceding scriptures too, and I felt the Holy Ghost testify through me that the real reason “why” God does everything he does and did everything he did is to fulfill His purpose: Us. We, His children, mean everything to Him. And in moments when we feel inclined to ask “why”, we need only remember His purpose. Friday was another exciting day! So at the baptisms I have attended here in Missoula, I always noticed how gross and dirty the walls of the baptism font were. With so many baptisms happening the next day, it made me sick to think of baptizing them in mold. SOoOoo, we took an hour and deep cleaned the font! 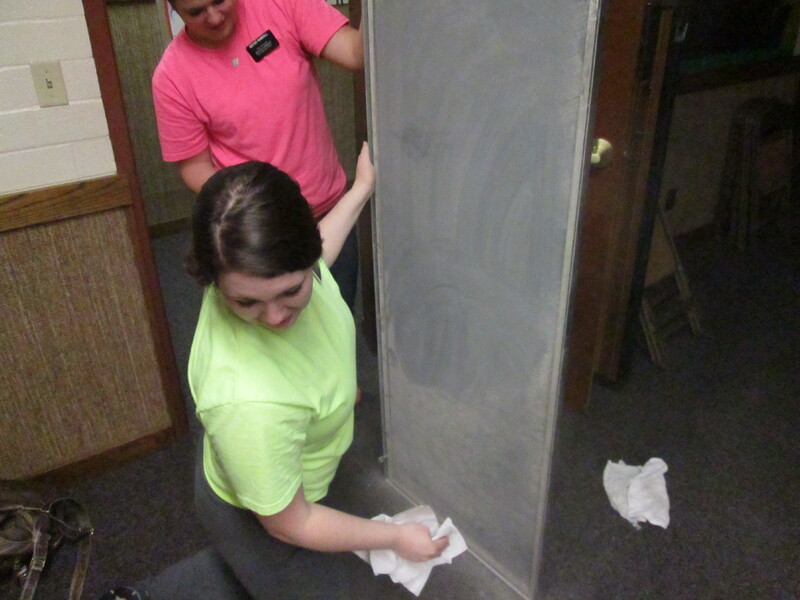 The Elders had brought up the idea of cleaning it a few days earlier, so we enlisted their help too. By the end, it actually looked kind of decent! I wiped off the back on the mirror that hangs and there was literally half of an inch of dust on there. I had dust in my teeth for the rest of the day, haha. Coughing up a lung from all the dust! That night, we participated in an Institute activity. The LDSSA hosted and combined with the other Christian campus ministries for a Fast and Food Drive. To end the fast Friday night, we did a progressive dinner between the different church buildings. It was a great way of building trust and friendship with the other churches on campus. I ate dinner next to the Lutheran Pastor, and while I think he was kind of uncomfortable, I greatly enjoyed our conversation. It’s funny how the name badge makes people treat us so differently. I find it overall amusing to observe. Sister Randall and I start our first Facebook exchanges this week with the missionaries in our zone- ought to be exciting! We got trained a little more on Saturday which helped, so I’m actually pretty pumped to get the missionaries excited about using Facebook productively. I now spend most of my time on Facebook teaching and finding instead of posting, but hopefully I’ll start posting a little more regularly too. Sunday night, we contacted a less-active that someone in the ward had referred us to. It was amazing to watch her start to feel the Spirit and get so excited about it. She’s an older lady, and had been active her entire life until she got a divorce, and she felt like people treated her differently afterwards so she left the church. It was sad to see the effects of her leaving the church, because now all of her children have left too. We talked to her about her experiences in the temple and she just started crying. Sister Randall and I both received the strong prompting that she is ready to come back- now is her time. Well, I wish you all a happy holiday!! Eat lots of turkey and give service to someone who needs it. Love you all!